Leaders of the 27 countries remaining in the European Union and British Prime Minister Theresa May have agreed to extend Britain’s date of departure from the bloc until Oct 31, the EU summit chair said in a tweet on Thursday. This is four months longer than May asked for, in a move European Council President Donald Tusk said would let Britain resolve its domestic deadlock on the issue. 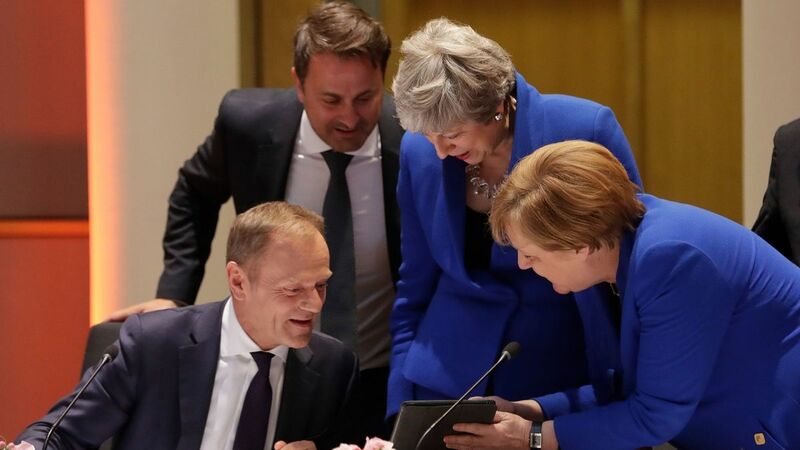 EU27/UK have agreed a flexible extension until 31 October, Tusk tweeted after eight hours of talks that went into the early hours of Thursday. This means (an) additional six months for the UK to find the best possible solution, Tusk added on the eve of what would otherwise have been the day Britain crashed out of the bloc with no deal to smooth the departure for businesses and citizens. Britain, he stressed, could still leave earlier if May secures parliamentary backing for her Brexit treaty, or it could amend what it wants from a future trade pact. Until the end of this period, the UK will also have the possibility to… cancel Brexit altogether, Tusk added. The agreement gives May more than the three months to June 30 that she asked for to build a parliamentary majority behind the withdrawal treaty she negotiated with the EU last year. But she insisted Britain could still secure a deal and leave before Britons would have to vote in a May 23-26 election to the European Parliament a condition for the country to remain a member of the bloc beyond June 1 under the EU’s accord. Many leaders had wanted a much longer extension, to the end of the year or even next March, but French President Emmanuel Macron mounted stiff resistance throughout the evening, eventually forcing the compromise. Leaving at midnight on October 31 Halloween, as social media commentators were quick to note – would correspond with the end of the mandate of the present EU executive Commission. Leaders would assess the situation again when they meet for a regular summit on June 20-21. Britain could have left by then if May succeeds in building a coalition for her deal with the Labour opposition – though there is no sign of agreement yet. In order to continue as an EU member beyond June, May has agreed to organise British elections to the European Parliament, though it is still unclear if that vote will go ahead and how far it might turn into a virtual second referendum on EU membership that some hope could mean Britain cancelling Brexit. The other 27 had all but ruled out pitching Britain, and parts of the EU economy, into chaos on Friday. But a drive by Macron to keep London on a tight leash saw the emergency summit bogged down in late-night wrangling as German Chancellor Angela Merkel and others argued the merits of a longer lag.